Designed to lock securely into place with a simple pull of a cord, the Nite Ize CamJam is an easy, knot-free way to tighten, tension, and secure lighter loads of all kinds. Made of sturdy, durable plastic, it features a carabiner clip with a stainless steel gate on one end, and a rotating, ridged cam mechanism on the other. 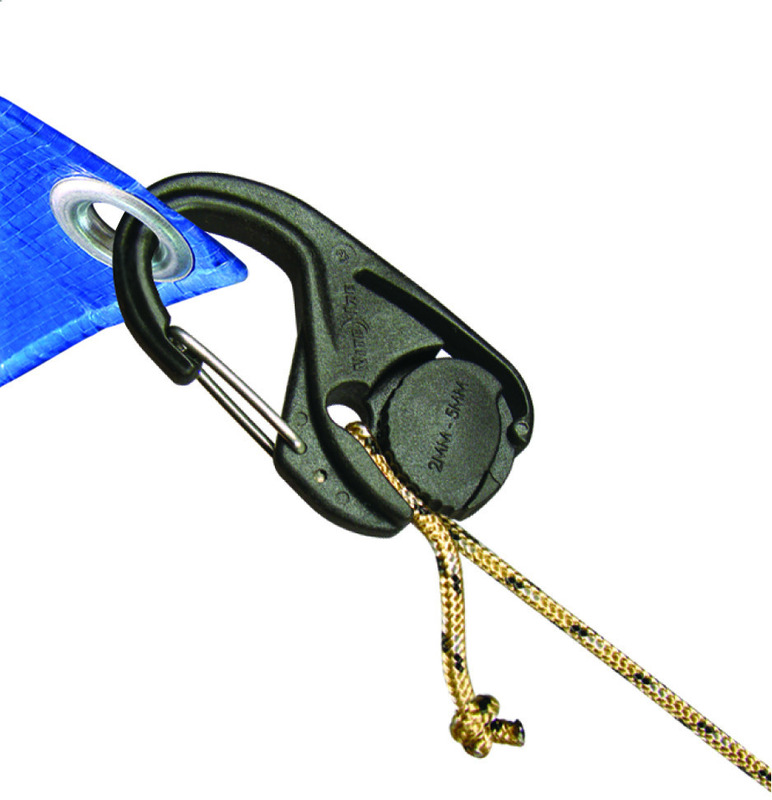 Simply anchor the carabiner to any hook, D-ring, or loop, and feed your cord through the cam until you&apos;ve reached the desired level of tension. Pull firmly, and the cam locks into place and stays that way until you release it by rotating the cam. 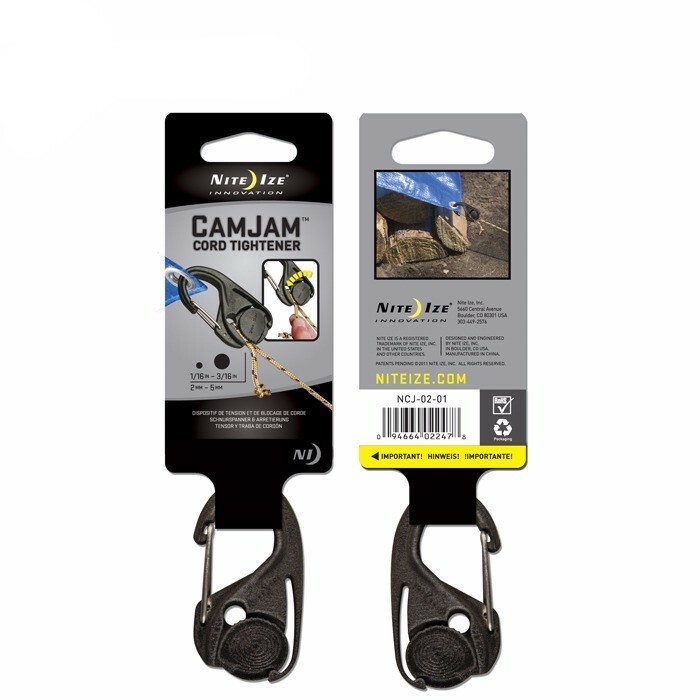 Easy to adjust and readjust, the CamJam is made to use and reuse hundreds of times, in hundreds of ways. Clipped to rings and hooks, it&apos;s excellent for hanging and securing tarps, tents, blinds, gear (perfect for bear bags!). Create a loop by clipping it to one end of the cord and pulling the other end through to bundle sleeping bags, blankets, cut brush, or wrap light loads to wheelbarrows, wagons, dollies, bikes, and boats.